IWF - Vogue Fashion Blogger: Who's Up for Burning It All Down? Vogue Fashion Blogger: Who's Up for Burning It All Down? 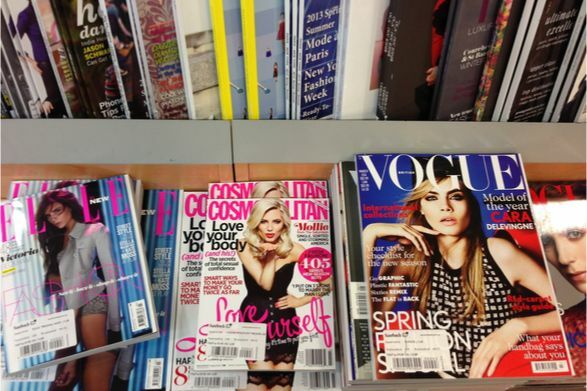 Remember when Vogue was about fashion? Vogue blogger Maya Singer's long post headlined "Who's For Burning It All Down?" is of interest primarily as a minor culture artifact: Who knew the call for revolution would come from Vogue magazine? If you’d asked me, before last week’s Senate Judiciary Committee hearings with Judge Brett Kavanaugh and Dr. Christine Blasey Ford, where we were on the road to revolution, I’d have said we were somewhere around “the people are very mad but they’re working within the system.” As of today, I feel like the revolution could kick off any minute now, because with the vote to send Brett Kavanaugh to the Supreme Court, the GOP (and Joe Manchin) have officially flipped us the bird. There is something clueless in a privileged fashion writer comparing herself to the hungry women of Paris who marched on Versailles. Vague is still a fashion magazine It's just that left wing politics are the fashion.